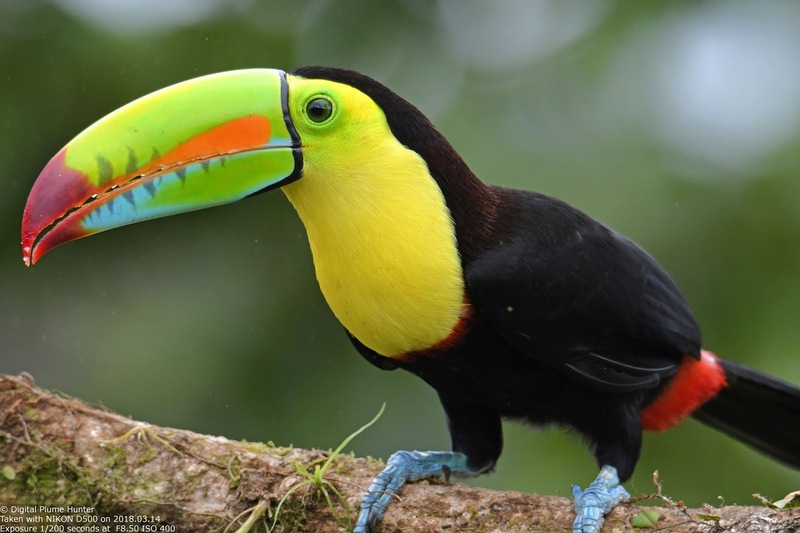 Situated in Northern Costa Rica near the Nicaragua border, Laguna del Lagarto is an ecolodge that is famed for its avian marvels. Many species that are elusive or seen only in the high canopy are regularly seen at this hotspot. 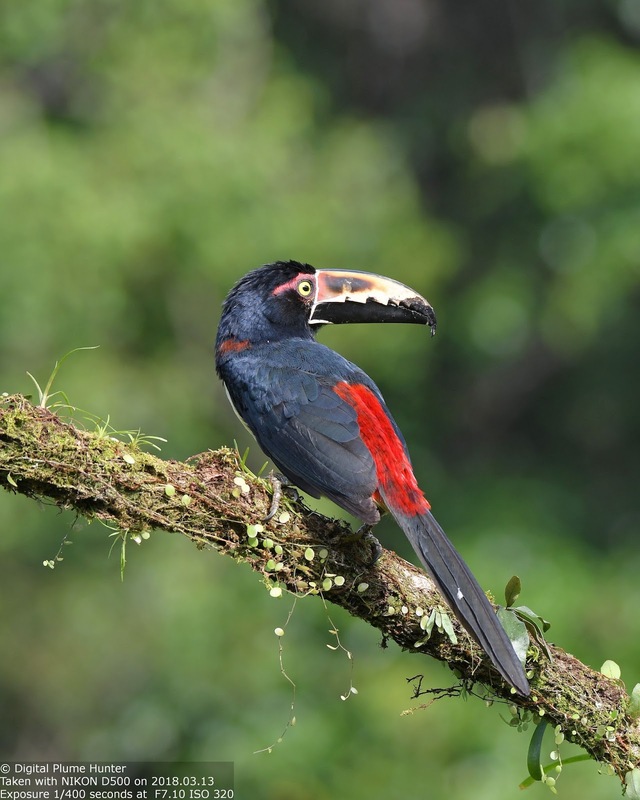 Thus it was no surprise that this nature reserve became the destination for our local birding club's first neotropical venture. 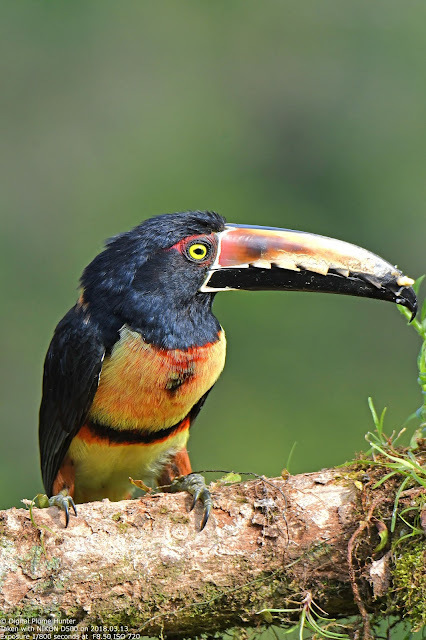 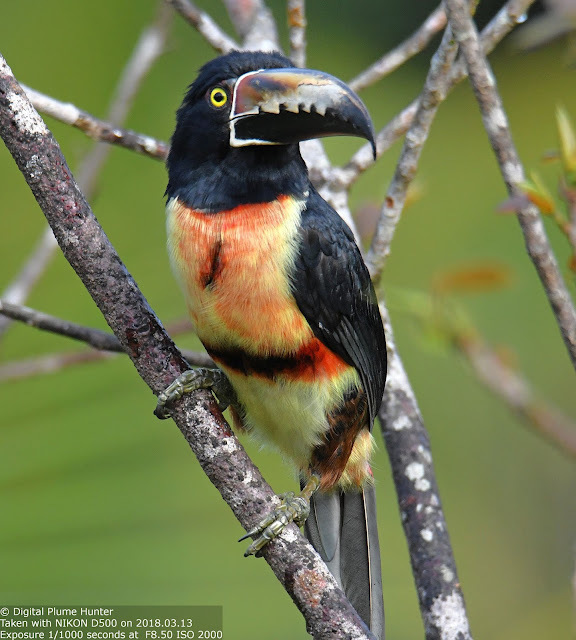 Collared Aracari is a medium-sized toucan with a yellow breast, black head and back. 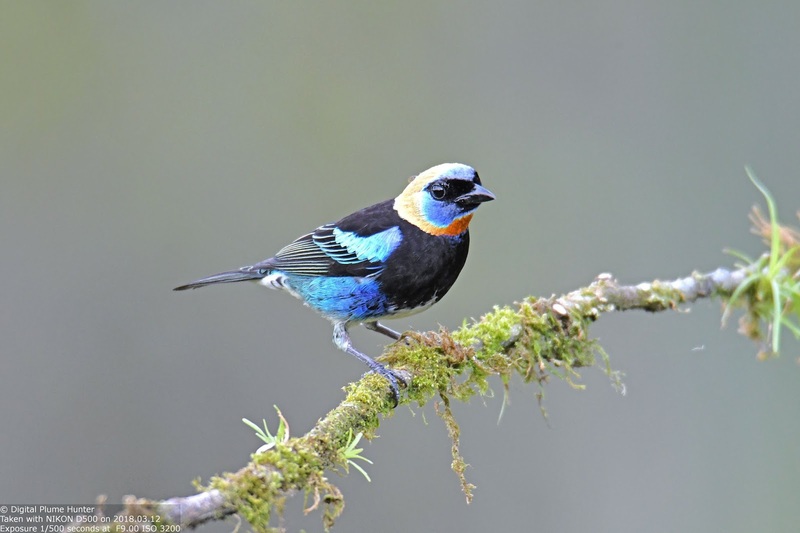 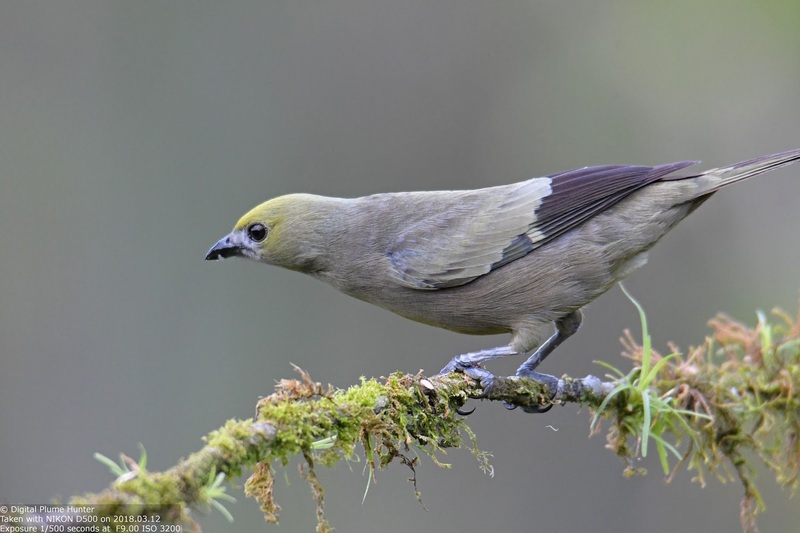 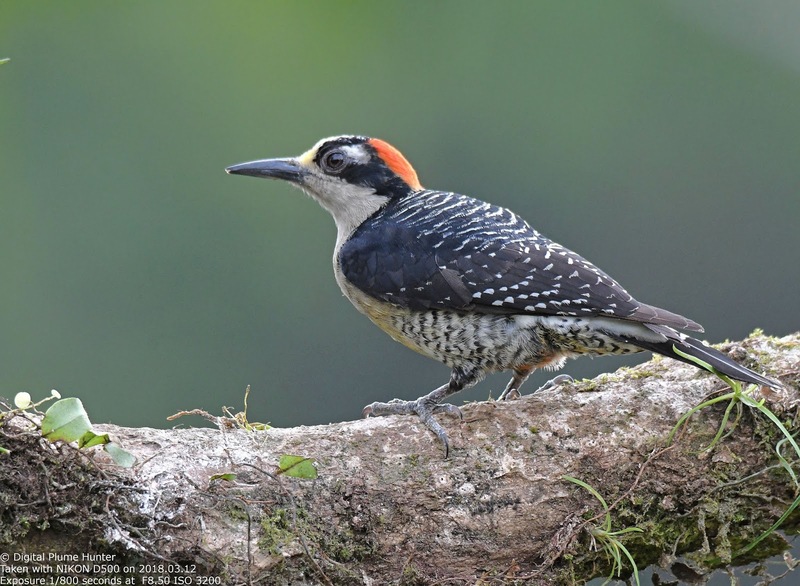 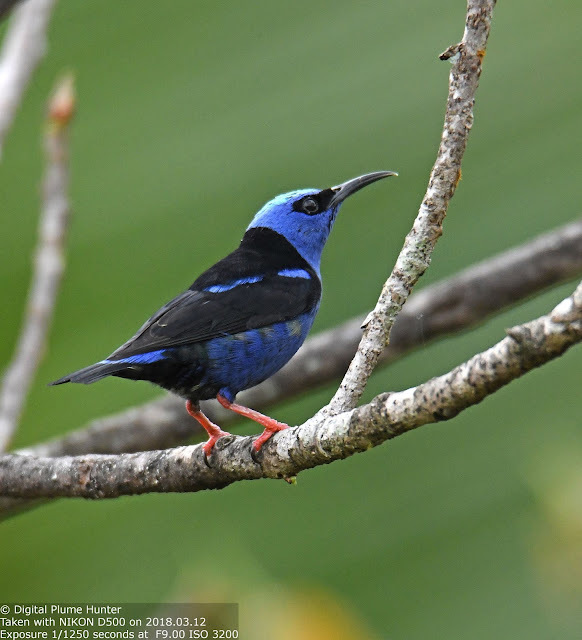 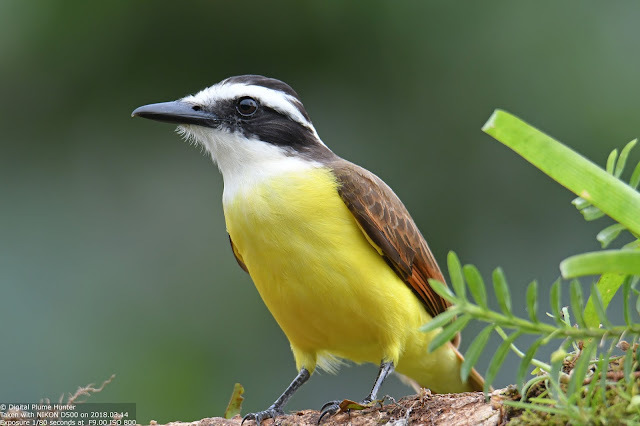 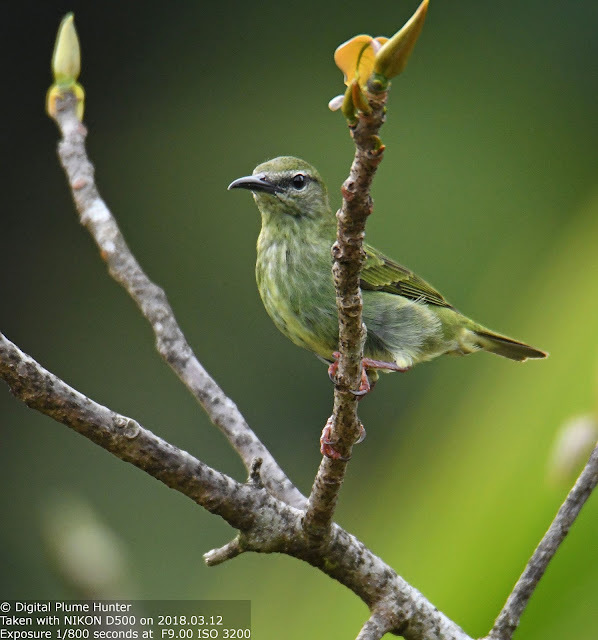 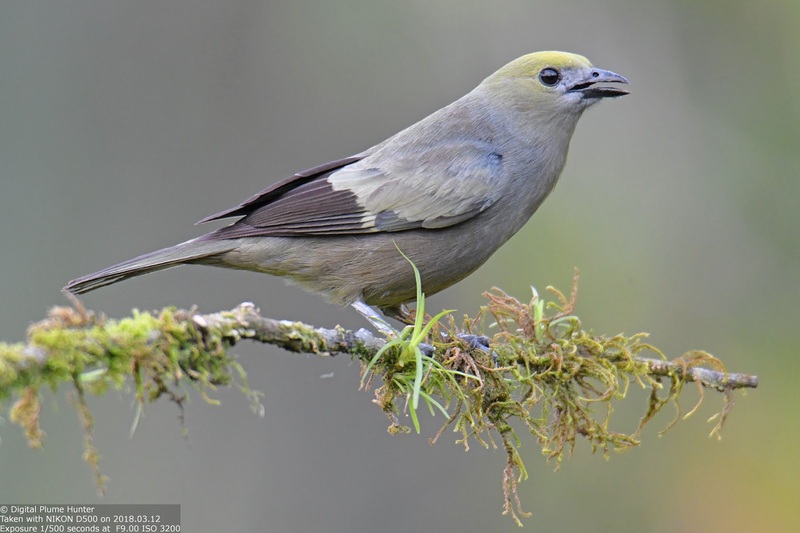 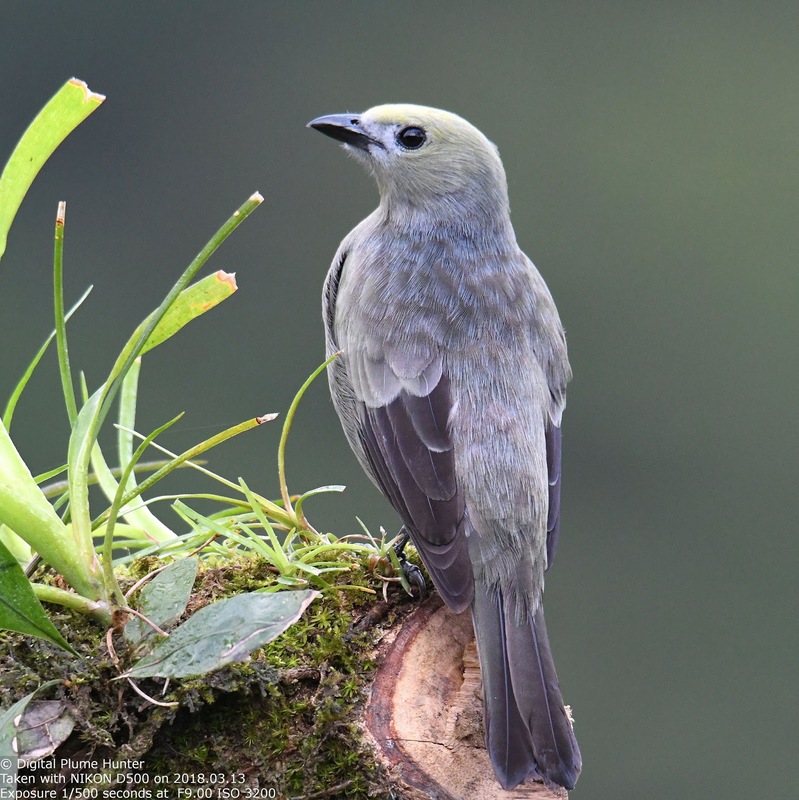 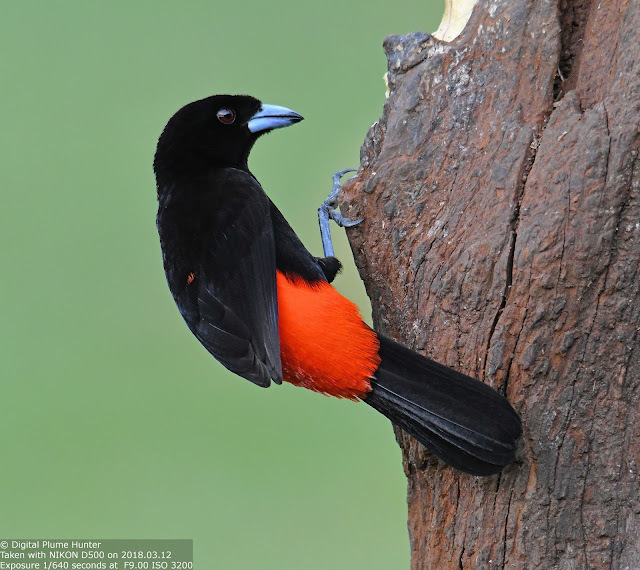 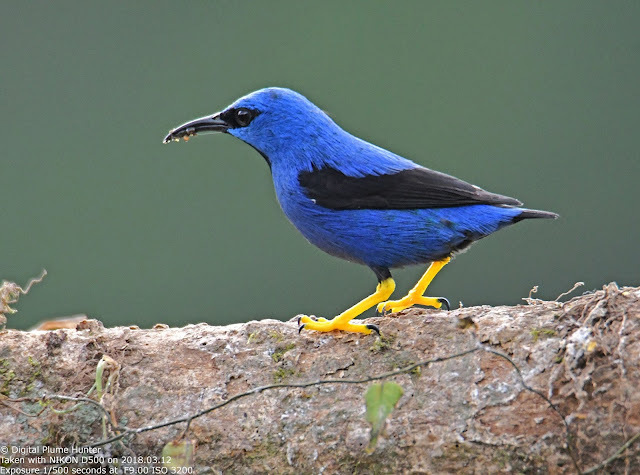 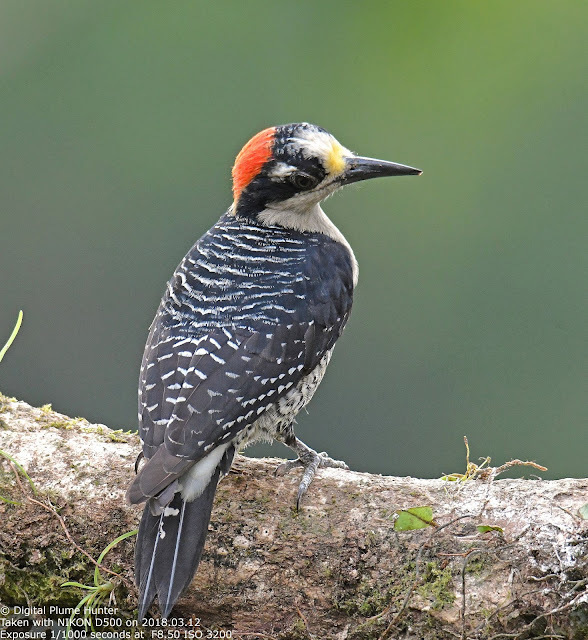 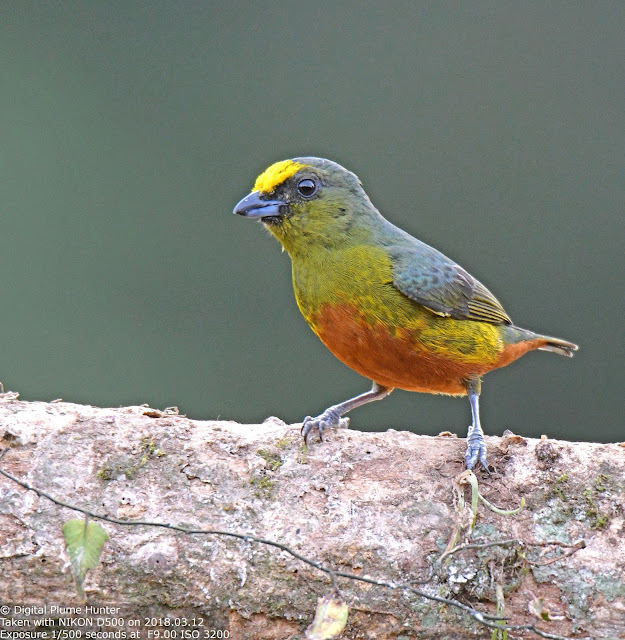 These are gregarious birds; seen in small, noisy groups as they hop and jump on tree branches while foraging. 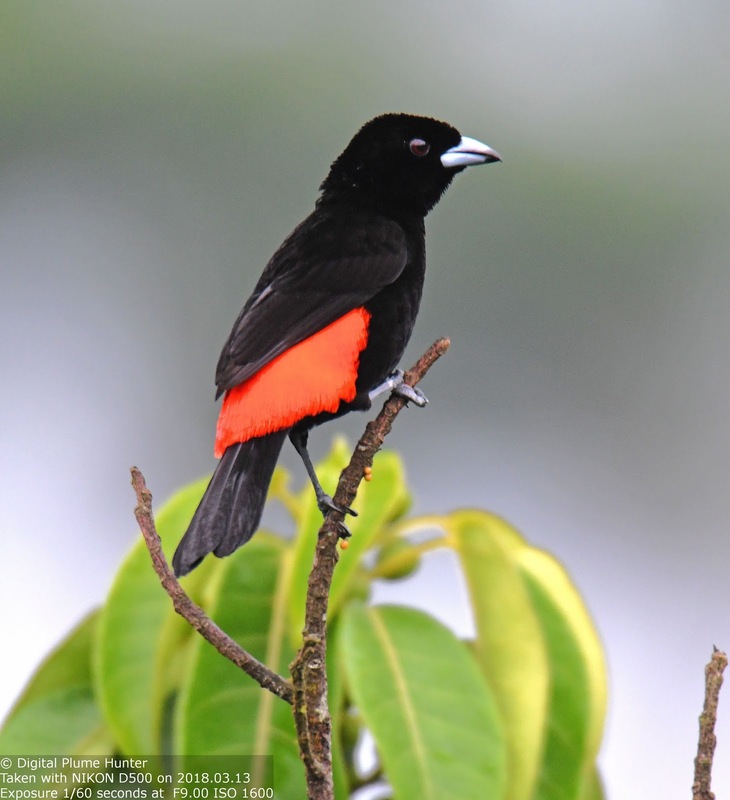 Here the red rump of this species is clearly visible. 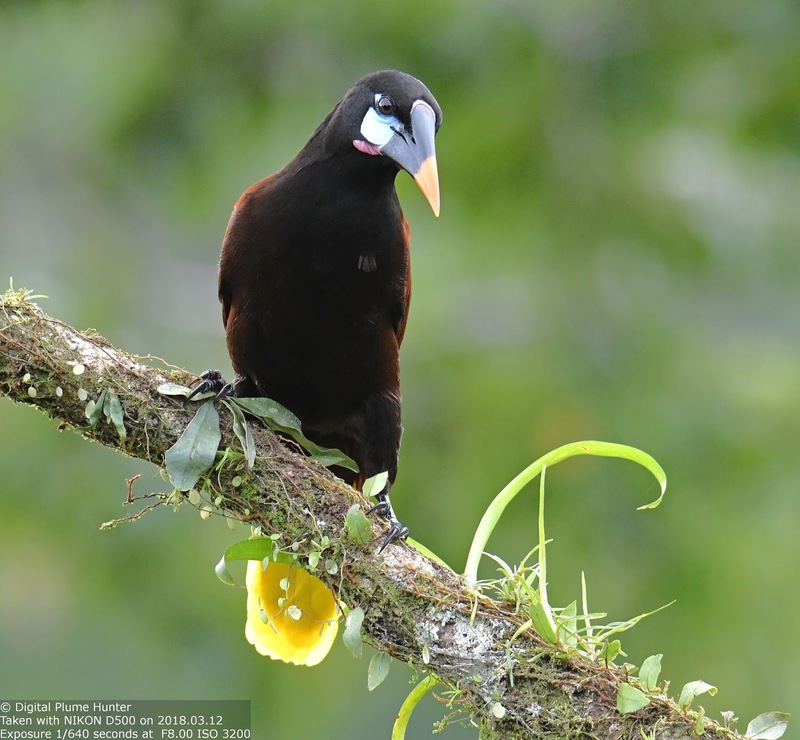 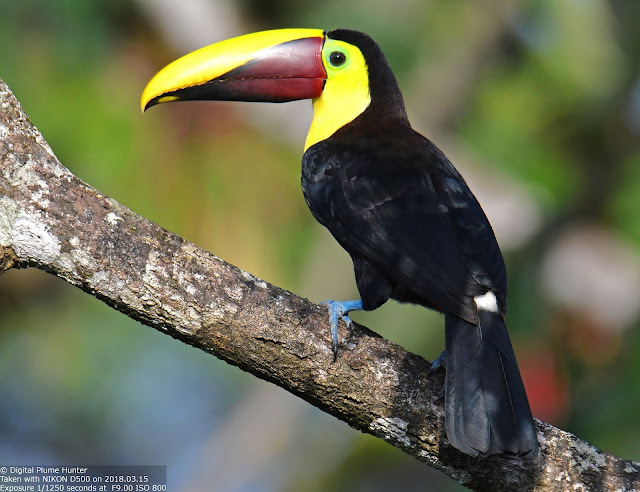 Some consider this as a sub-species of Yellow-throated Toucan. 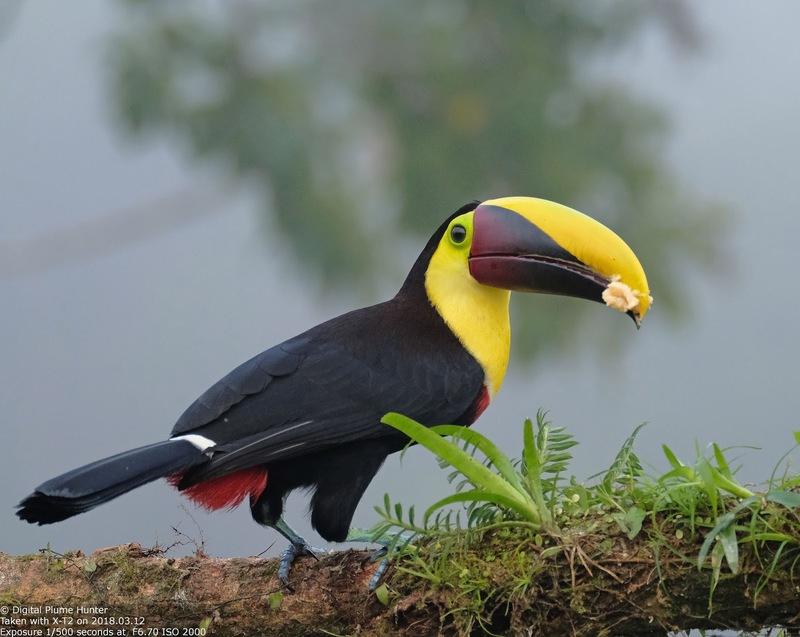 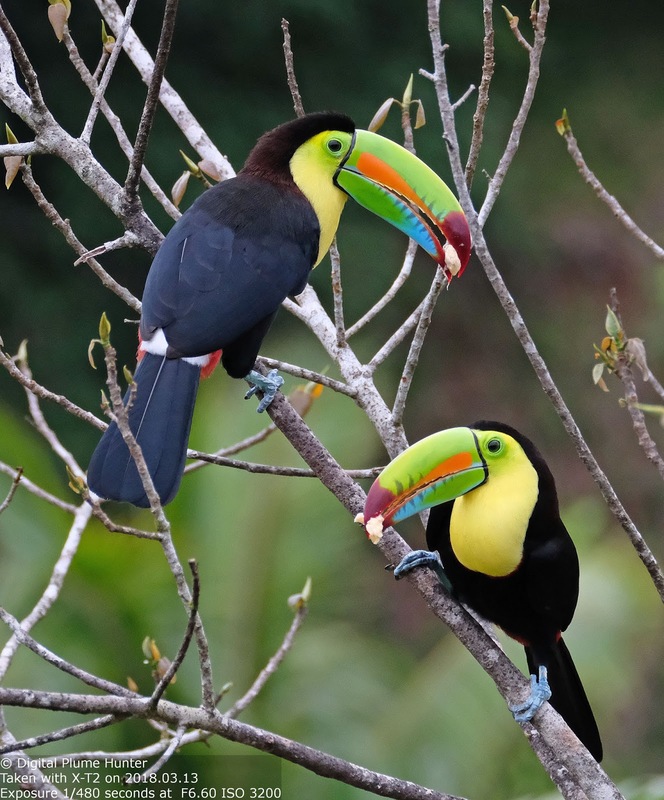 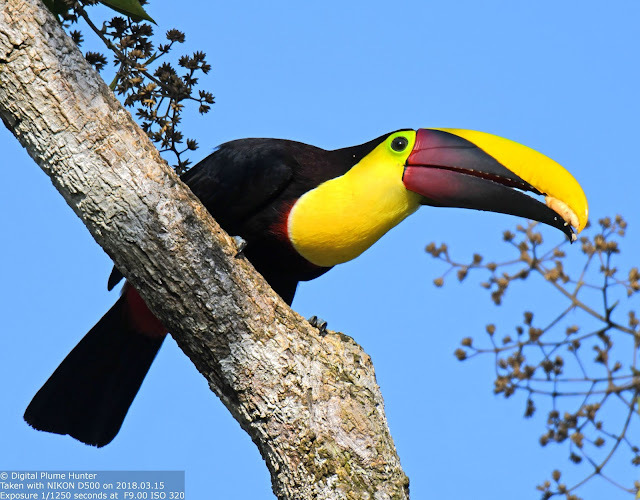 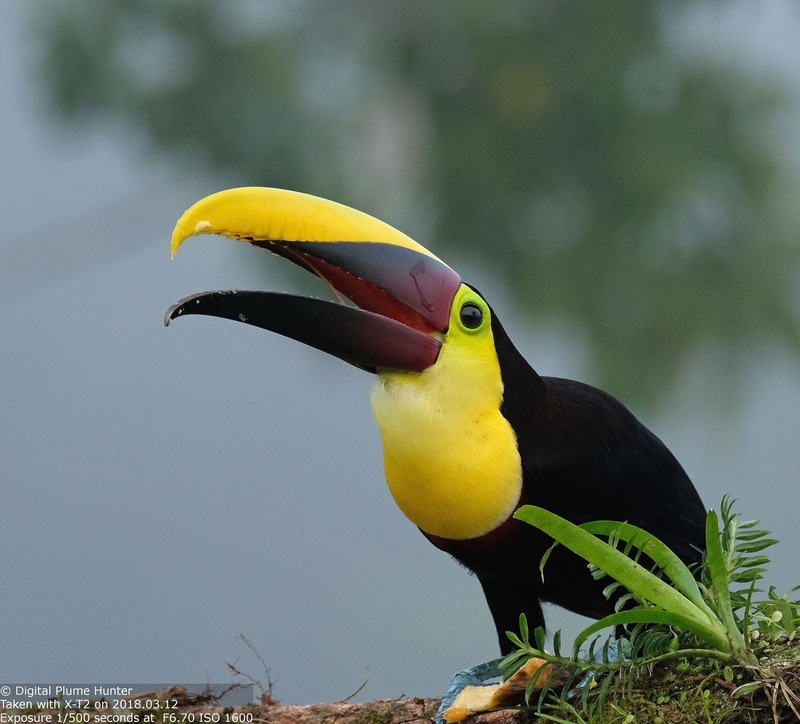 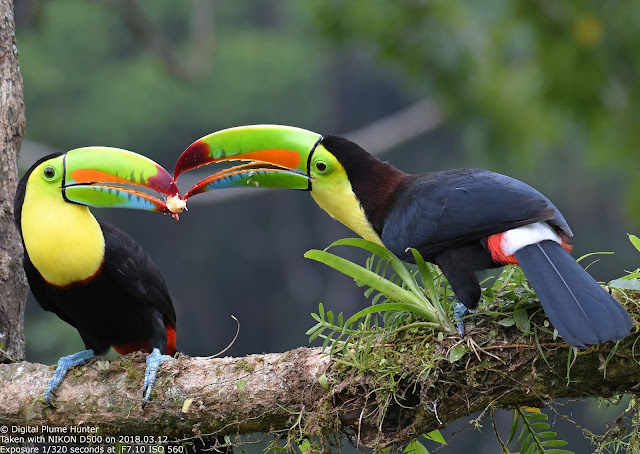 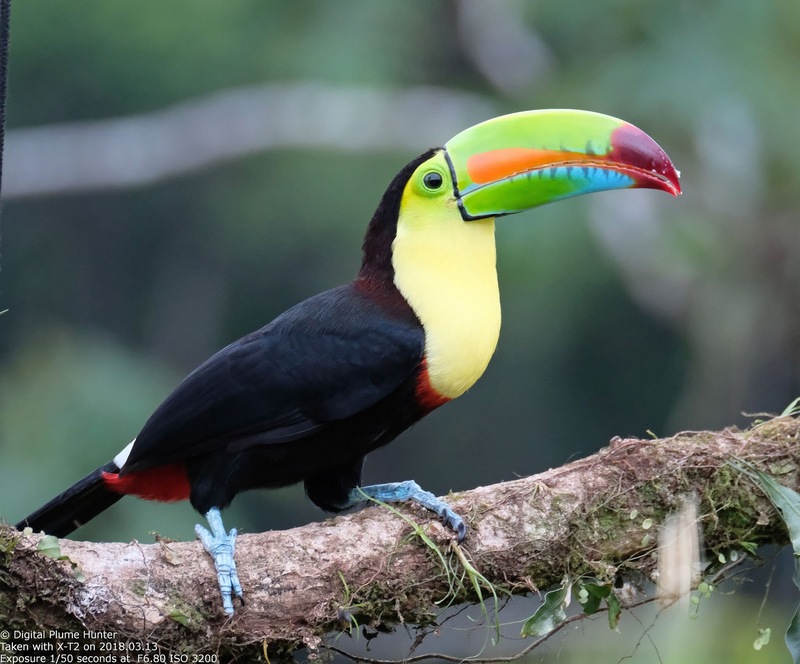 The Keel-billed looks like a Yellow-throated toucan that dipped its bill in different cans of bright paint! 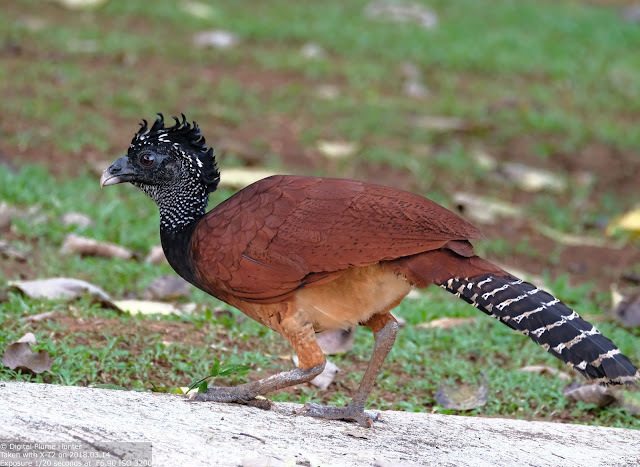 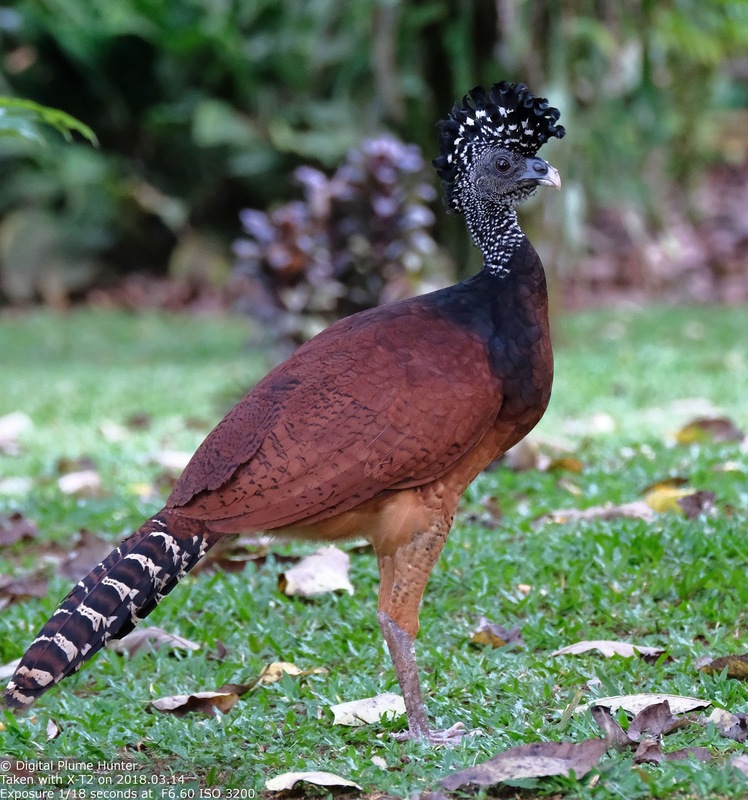 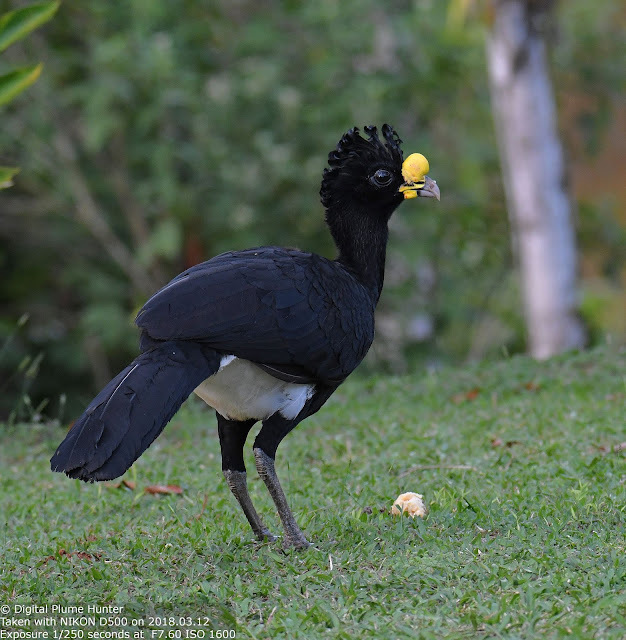 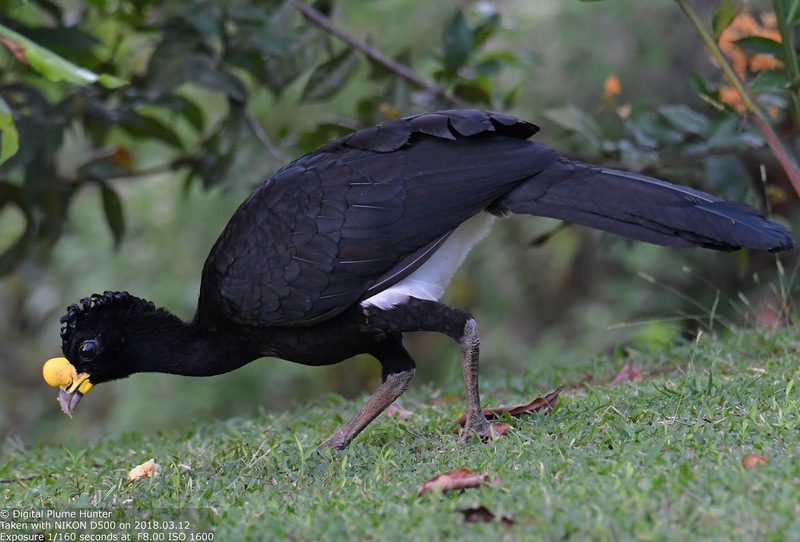 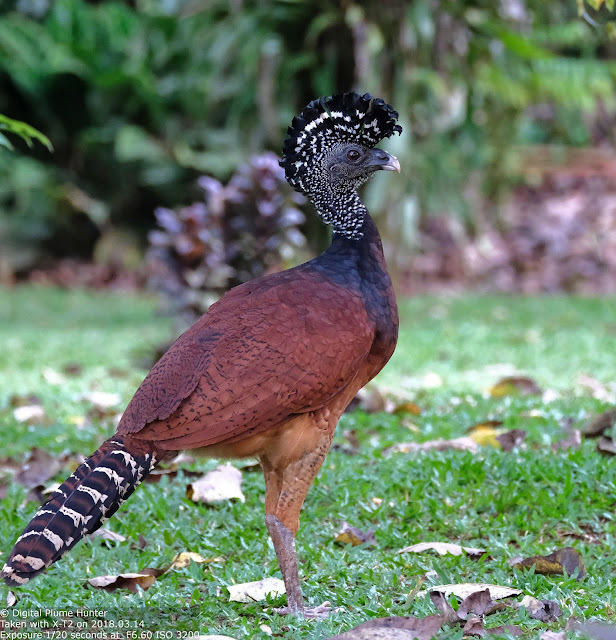 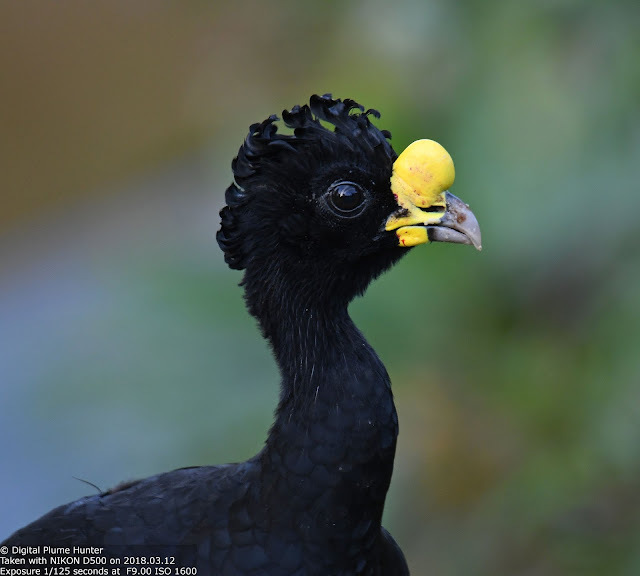 The Great Curassow is classified as "Vulnerable" due to relentless hunting of this spectacular landfowl. 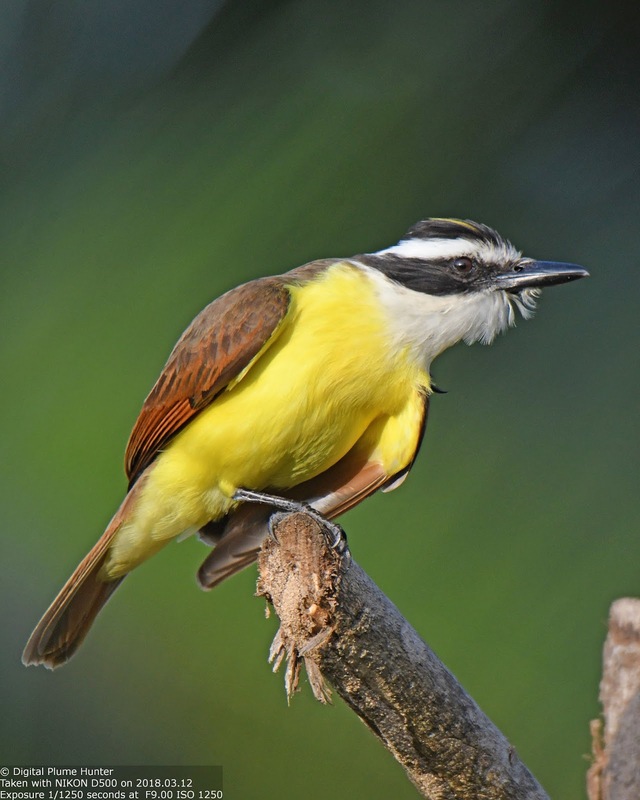 While both males and females have distinctive curly crests, only the male sports a prominent yellow knob on its bill. 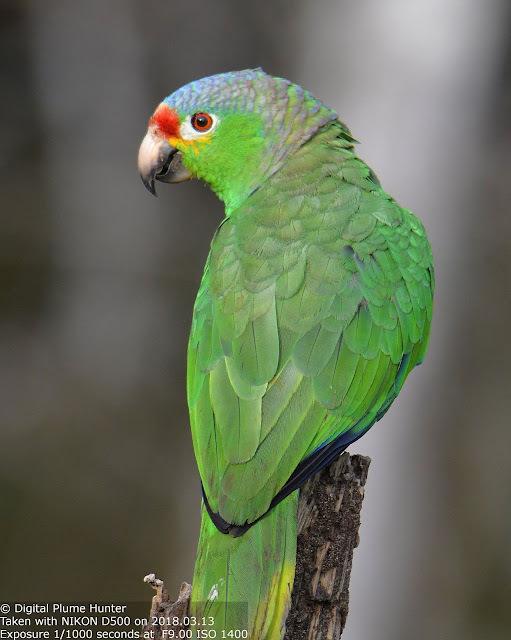 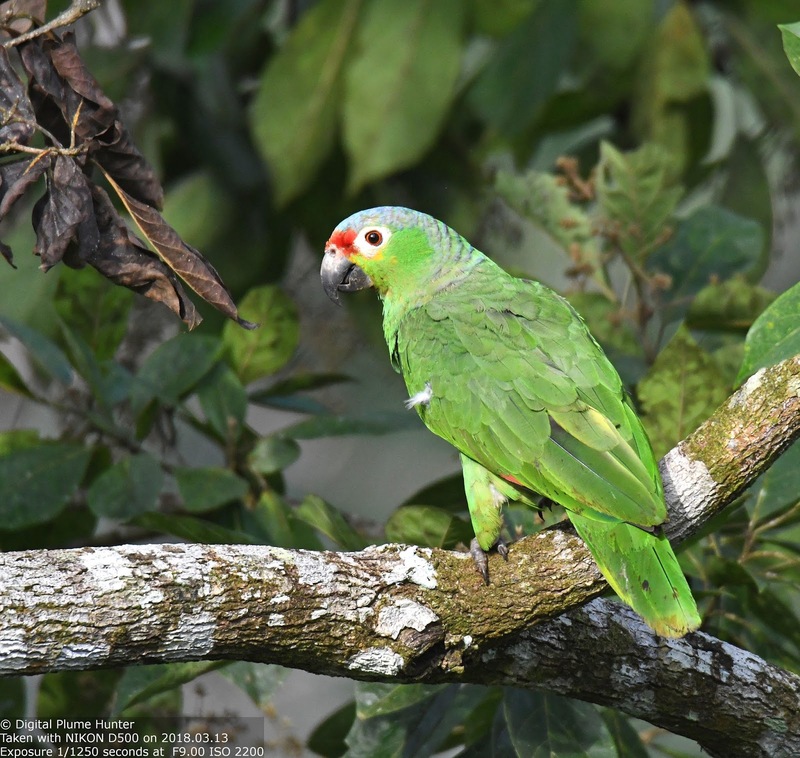 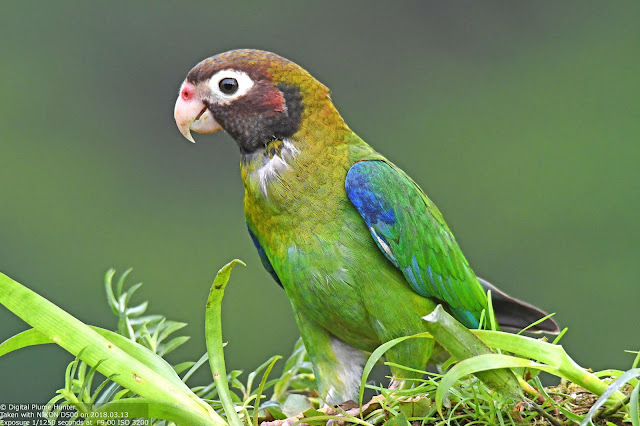 This amazon is found widely in forests of Central and South America. 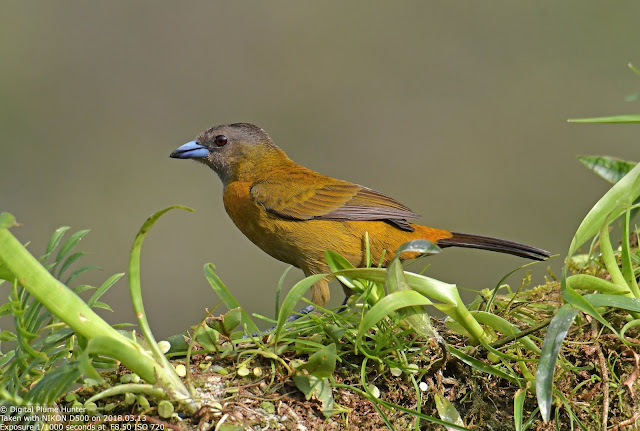 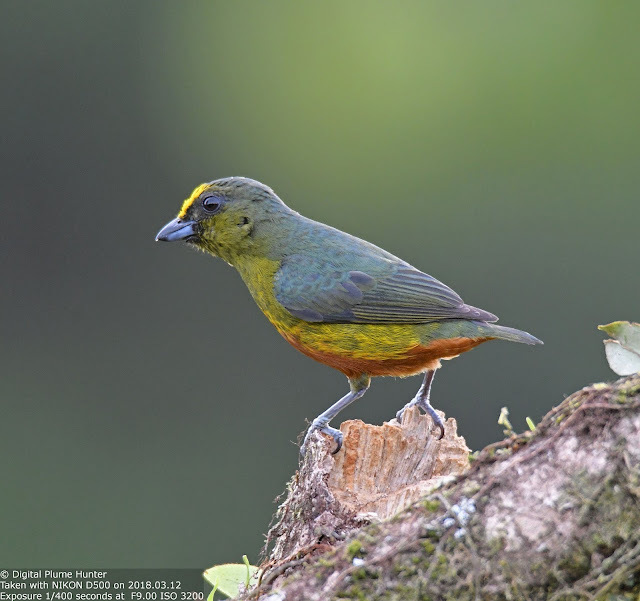 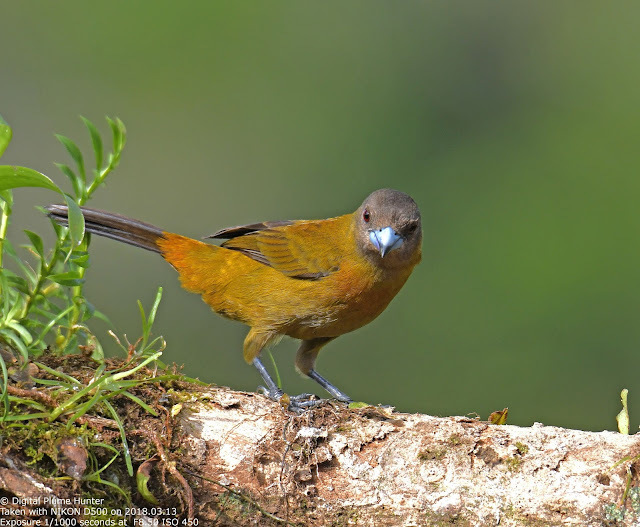 Tanagers are one of the stars of neotropical birding and Laguna offered close-up views of several species. 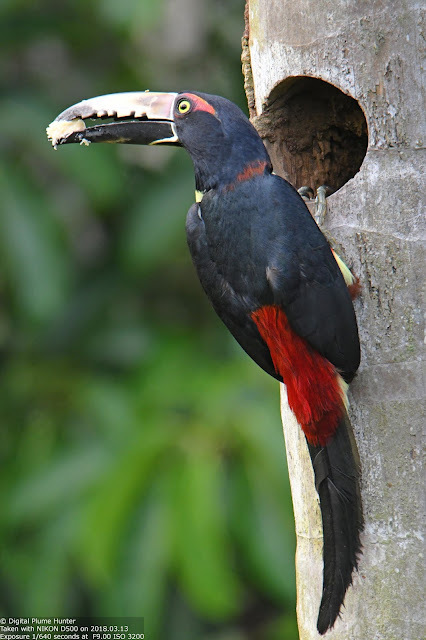 The female (above) is much more subdued. 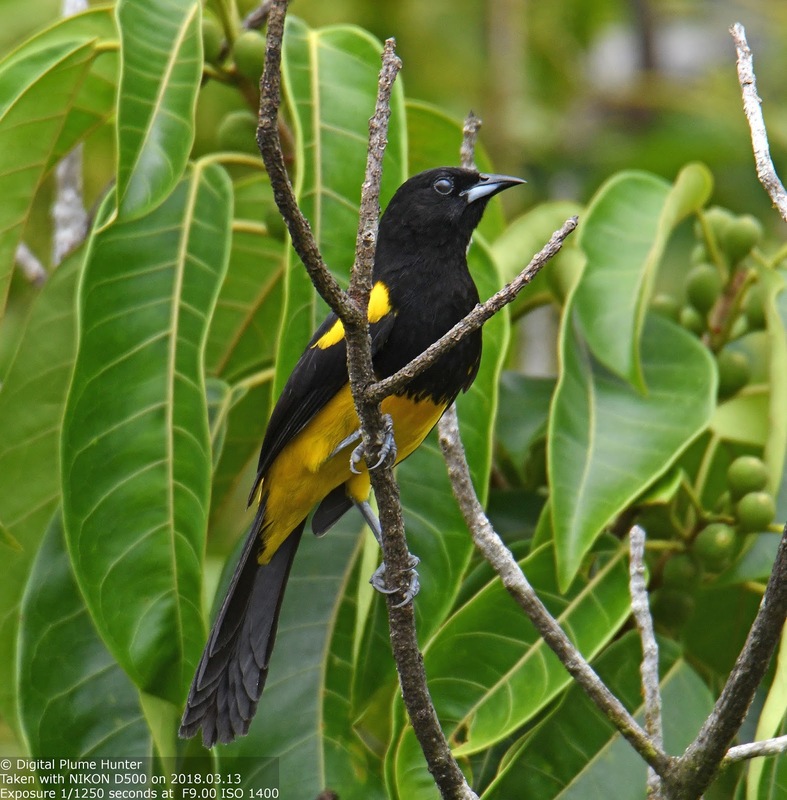 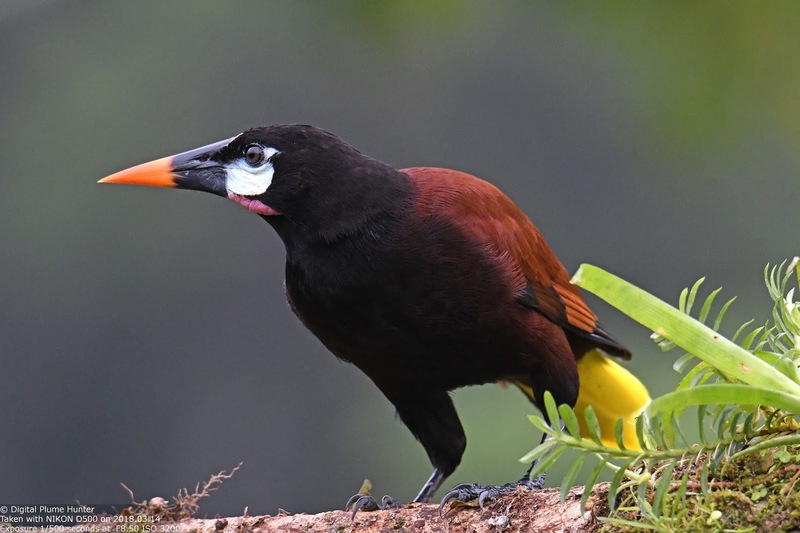 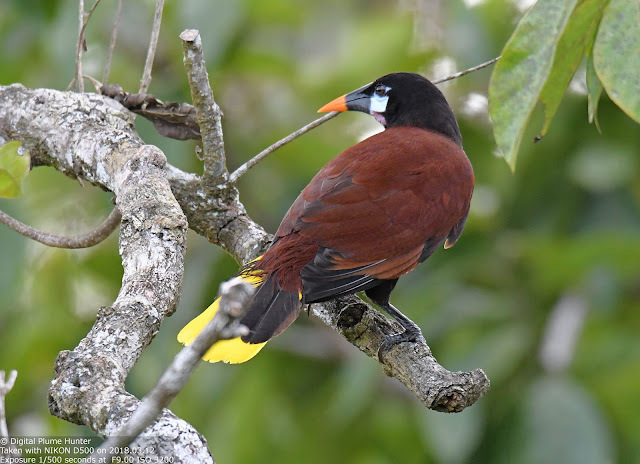 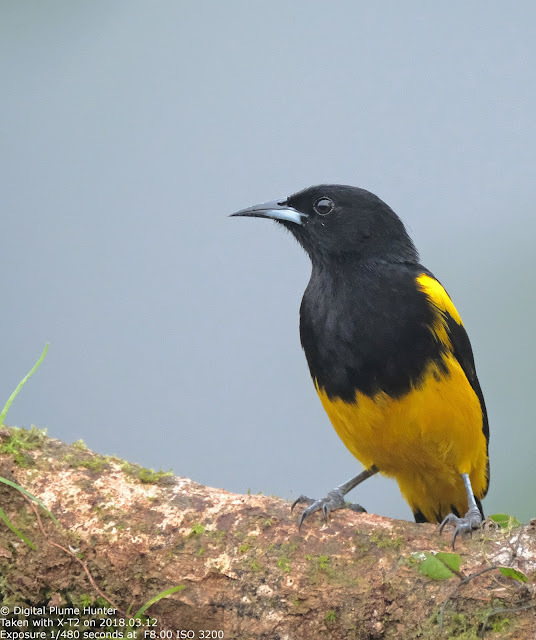 Its song is neither a sweet whistling (like the Orioles) or a croaking trill (like Red-winged or Yellow-headed Blackbird); instead the Montezuma emits a weird bubbling gargle. 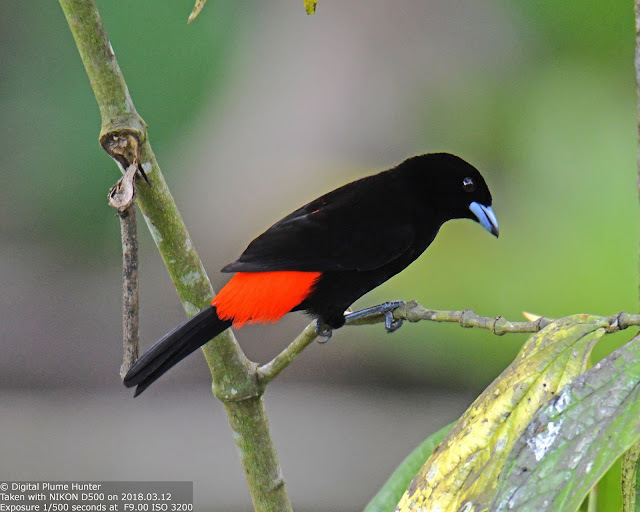 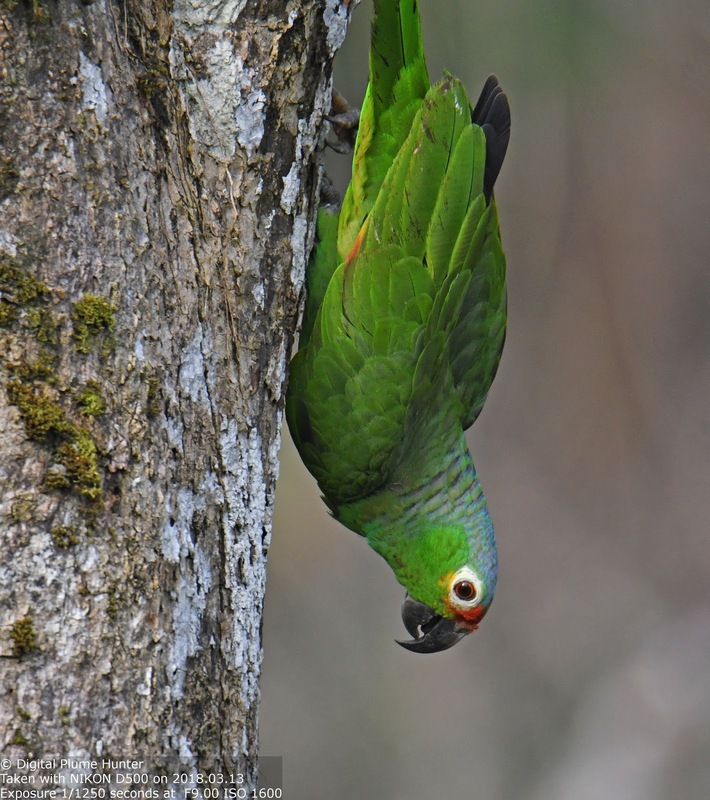 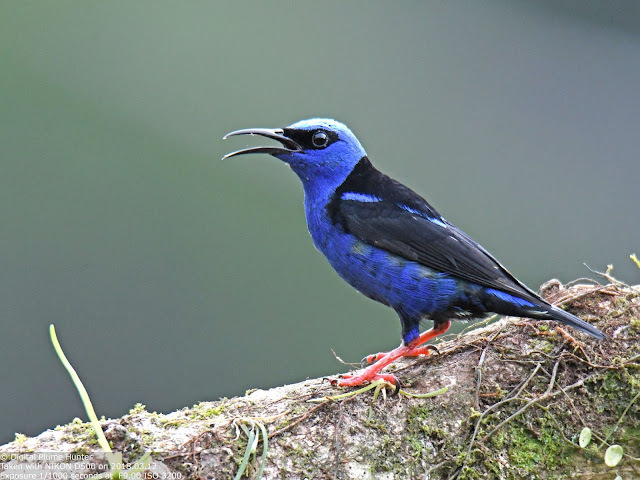 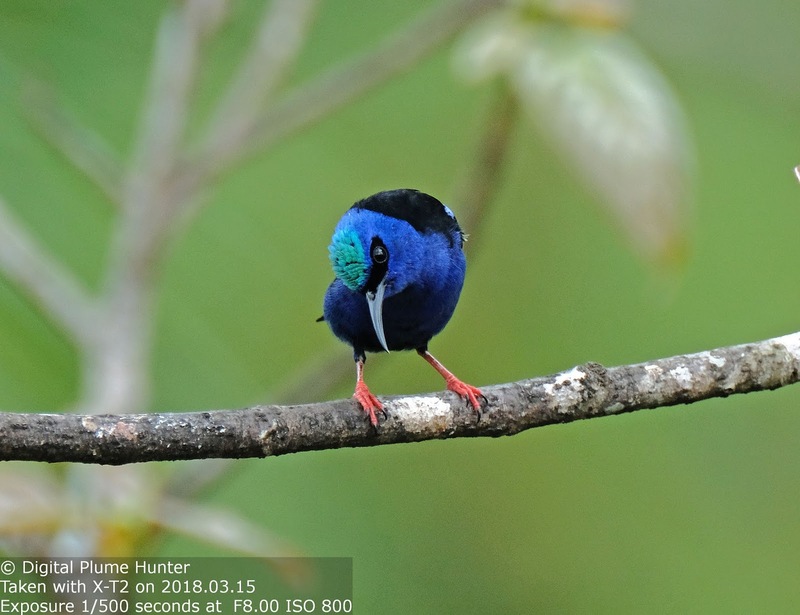 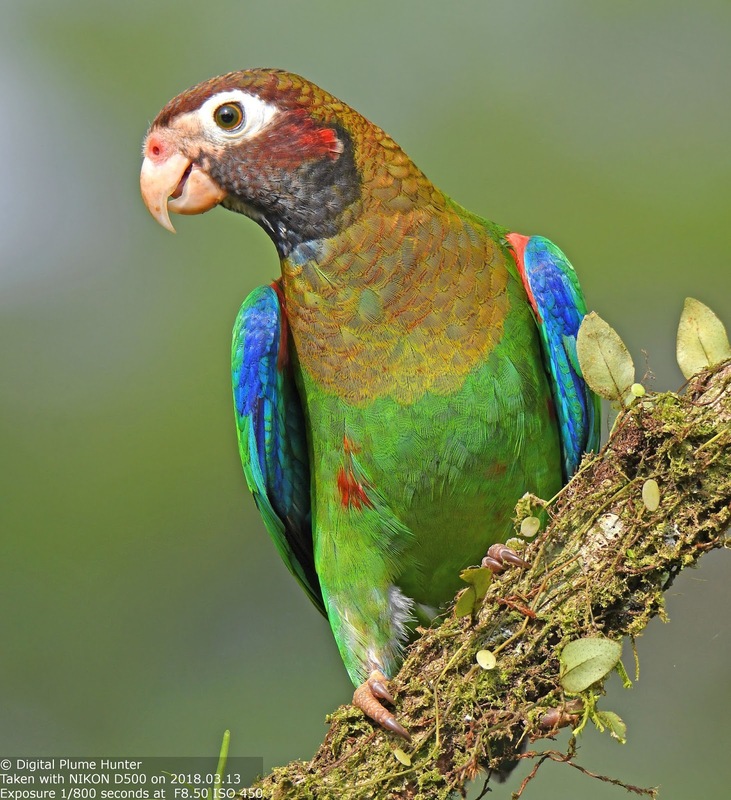 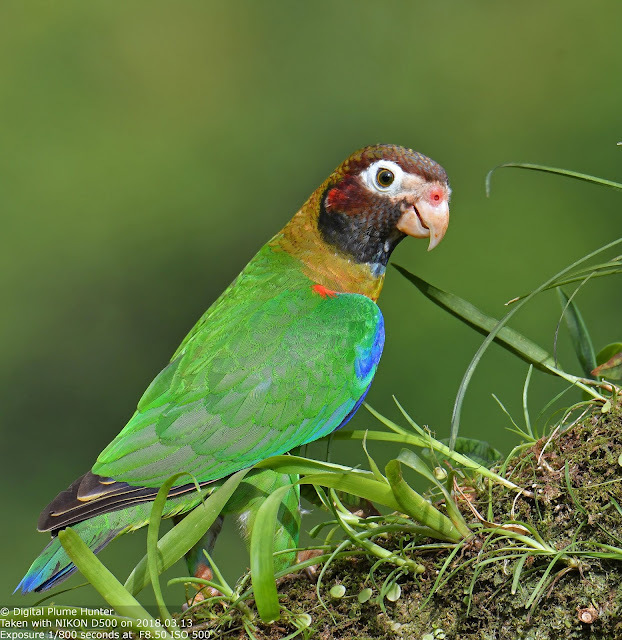 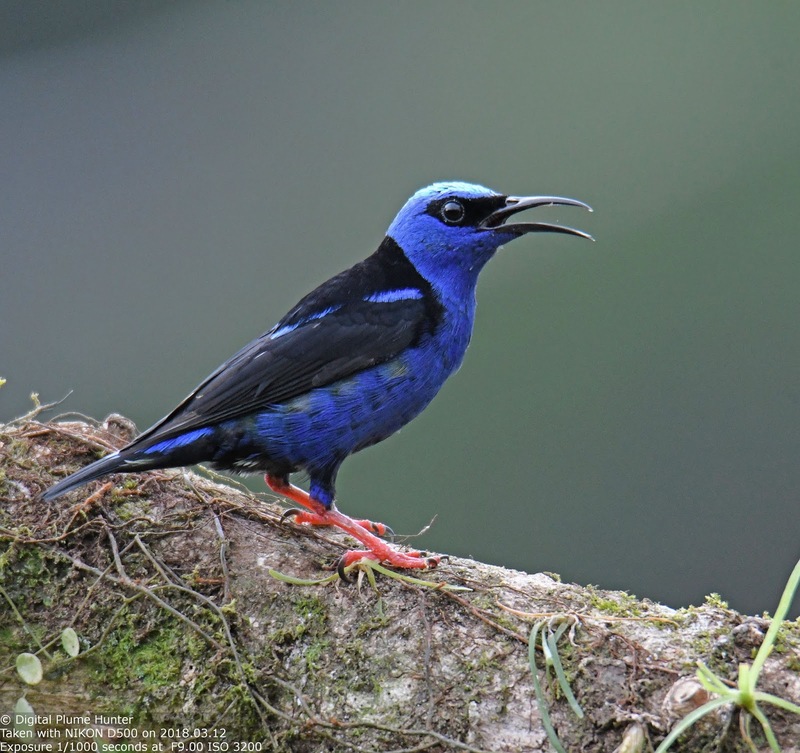 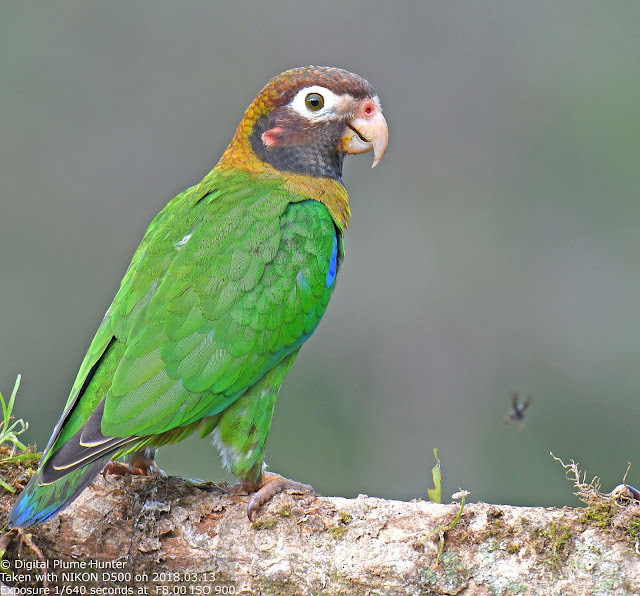 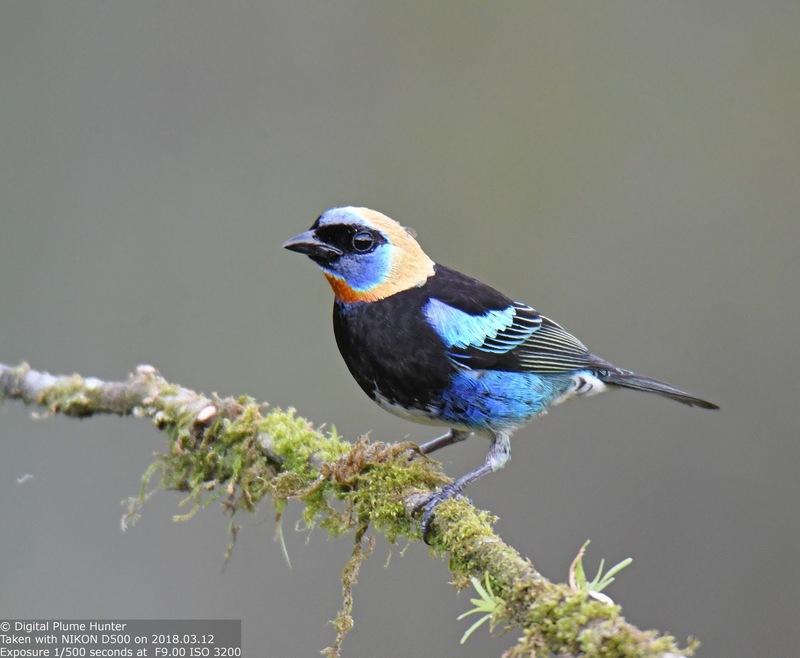 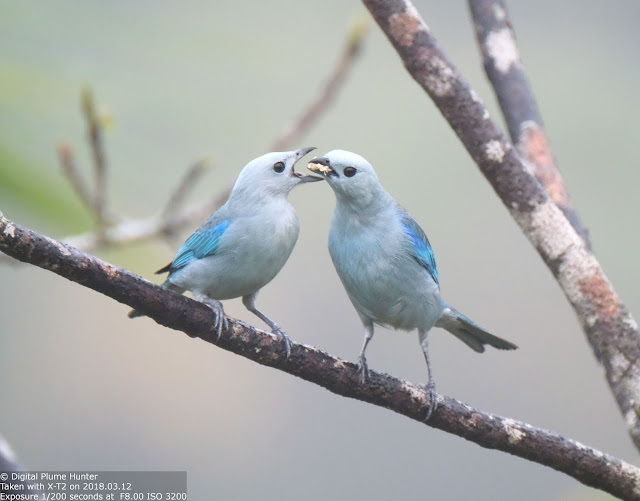 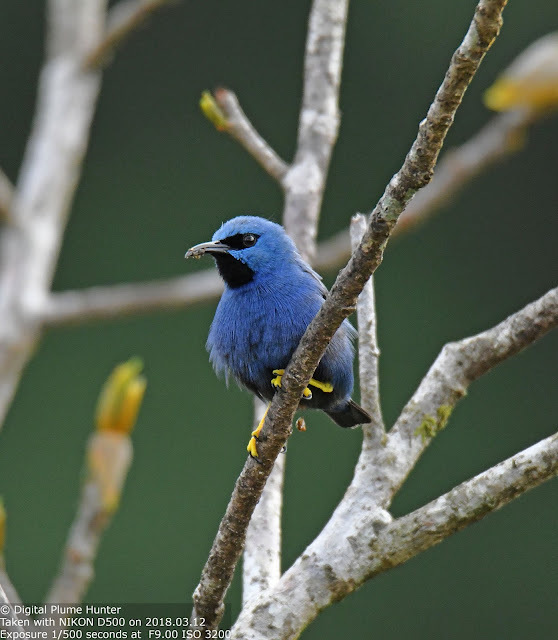 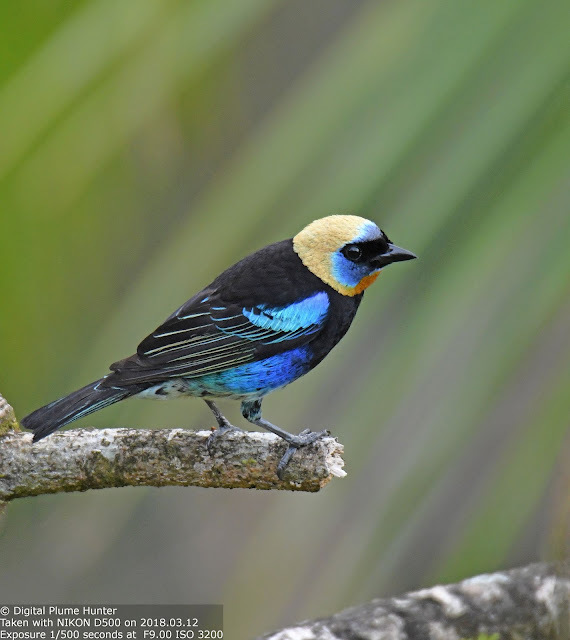 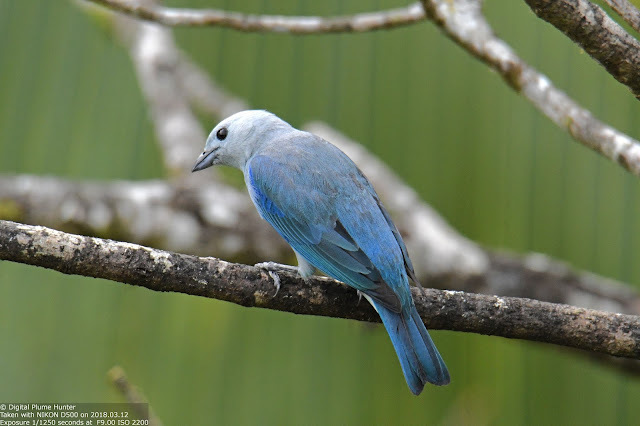 The perfect cure for the winter slowdown in North American birding is a trip to the neotropics. 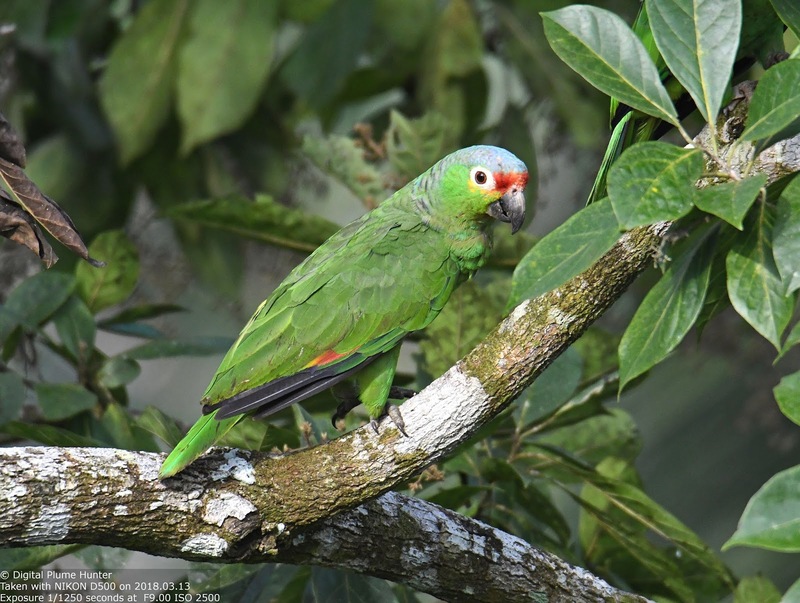 And, Laguna del Lagarto is just what the doctor ordered!